Click or tap on the 5 HOUR O.P.O.T.A. 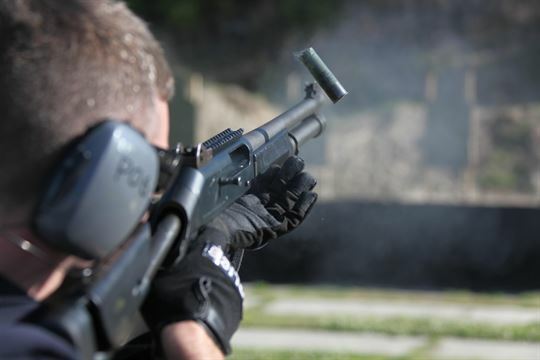 PRIVATE SECURITY SHOTGUN class date for registration and deposit payment information. REGISTRATION FOR THIS CLASS AND DEPOSIT PAYMENT INDICATES THAT YOU UNDERSTAND AND ACCEPT THE LISTED POLICIES AND PROCEDURES FOR THIS CLASS. which includes five hours of training in shotgun nomenclature, shotgun conditions and practical range training. this course consists of classroom training where Student Performance Objectives (SPOs) regarding the use of force, firearm safety and range safety rules are taught and tested. also included during range portion is live fire training and completing the SPOs to demonstrate shotgun proficiency.
! ! ! THIS IS A PERFORMANCE DRIVEN CLASS ! ! ! The State of Ohio mandates that only those individuals who achieve a PASSING score on both the written and shotgun performance objectives will be certified by the Ohio Peace Officer Training Commission. Each student can test twice on each test. If both attempts are failed on the written test, the student will receive a FAILING score and will not be able to continue to the practical range training and testing. If the student receives a FAILING score twice on any of the practical range performance objectives, that student will not be certified. FAILING EITHER THE WRITTEN TEST OR PRACTICAL RANGE TEST WILL DISQUALIFY YOU FROM BEING CERTIFIED – THIS DOES NOT ENTITLE YOU TO A REFUND! If Question #1 affects you or any part of this form affects you, YOU MUST contact me by email prior to attending the class. 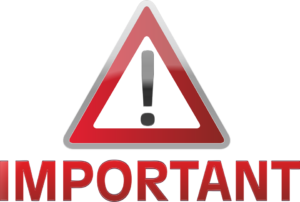 Authorization to attend the class for sealed or expunged records must be granted by OPOTA. YOU MAY NOT automatically attend the class until your Journal Entry is submitted to OPOTA for their review and decision. THIS INCLUDES ANY LEVEL OF DOMESTIC VIOLENCE! PLEASE DO NOT COMPLETE THIS FORM – WE WILL COMPLETE IT THE FIRST DAY OF CLASS. THIS LINK IS PROVIDED FOR INFORMATIONAL PURPOSES SO YOU CAN DETERMINE YOUR ELIGIBILITY. A $50.00 DEPOSIT IS REQUIRED TO SECURE A SEAT IN THIS CLASS! Remington Model 870 pump action 12 gauge shotgun. Includes all of the ammunition needed to complete the class. To register and reserve a seat in your chosen class, the deposit amount of $50.00 must be paid in advance! The balance of $50.00 can be paid in a subsequent payment up to and including the first day of your class. DEPOSIT POLICY: DEPOSITS ARE NON-REFUNDABLE!!! Under very limited hardship or emergency circumstances, which Ohio Citizens Firearms Training, LLC reserves the right to determine, a deposit may be applied to one future class through this company. *** IF YOU MISS THE TIME REQUIREMENT WHICH IS NO MORE THAN 15 MINUTES LATE OR SIMPLY DO NOT ATTEND THE CLASS, YOU WILL FORFEIT YOUR DEPOSIT. DURATION: 2 hours classroom training | 3 hours range training TOTAL: 5 hours. Must pay balance by first day of class. PER STATE OF OHIO LAW, DO NOT BRING ANY FIREARMS ONTO COLLEGE PROPERTY!